Samdhana-Karana, which means “an act of healing,” was founded in 2010 by Pamela Higley and Vania Kent-Harber and is Tacoma’s only nonprofit yoga studio. Their vision is to empower people of all incomes and abilities towards lives of peace, purpose, and joy through the connection, love, and mutual healing that yoga inspires. They have classes for all levels of ability and do groundbreaking work through their Trauma-Sensitive Yoga (TSY) program. Various outreach programs include chair yoga for the chronically homeless, gentle yoga for elders, and adaptive yoga for physically and developmentally delayed adults. A deep commitment to social justice and community are the beating heart of this place. 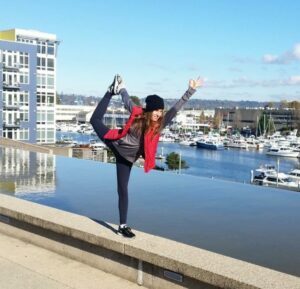 Put it on your radar: Yoga in the Park in July in Tacoma’s living room, Wright Park. Source Yoga opened a first location on N 21st in 2005 and their second location in University Place in 2011. Founder Erin Joosse and Melissa Paz were students together at the University of New Mexico where they formed a deeply collaborative relationship that has extended to this day. Source is very family friendly with classes for kids and expectant mamas. Erin Joosse became the sole owner in 2015, but both women still teach at this well-loved studio, along with a wide variety of other teachers, bringing mindfulness practices to traditional hatha yoga. Put it on your radar: Harmony Hill Retreat; check website, but usually in the fall in beautiful Union, WA. Expand Yoga is a newer studio which offers a wide variety of classes and styles, including classes that take place in a room that has been heated to 95 degrees. This is the place for you if you like a power vinyasa style of practice, though they also offer yin and other styles. Put it on your radar: A surf and yoga treat over New Year’s in Todos Santos, Mexico. 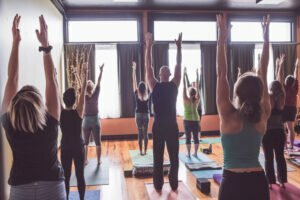 Yoga Palace in Proctor was founded by Patrick and Lisa Palace and offers mostly mixed levels vinyasa classes as well as meditation and something cool they call Yoga Lab, where they break down various postures in detail. We especially love their Yoga 4 Girls series, taught by Rachel Anna. Put it on your radar: Sunday meditation with Manidha, 4th Sunday of each month. 5. TCB Yoga … Anywhere! If practicing in a studio isn’t your thing, consider TCB Yoga. Tawni Bell will come to your home or office to teach private or semi-private lessons. Creative sequencing and a totally chill vibe are her hallmarks. Put it on your radar: Awesome Evening, a pop-up class with live musical accompaniment by Tawni’s partner Ben von Wildenhaus.